WASHINGTON — The big question facing the Federal Reserve as it wraps up its two-day policy meeting on Wednesday is how much the central bank should worry about United States economic growth this year. Fed officials are expected to leave interest rates unchanged at the conclusion of the meeting, but the day could still hold plenty of action for investors, lawmakers and other Fed watchers. All eyes will be on whether officials downgrade their economic forecast for 2019 in the face of data suggesting slowing global and domestic growth. 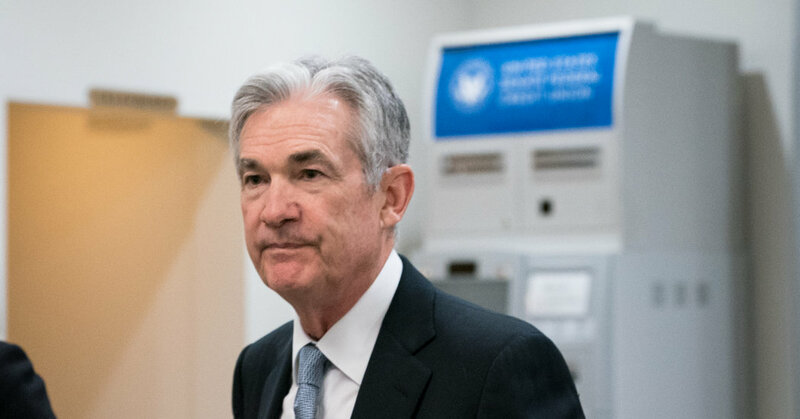 And close attention will be paid to comments by Jerome H. Powell, the Fed chairman, at a news conference where he is expected to provide details on when the Fed will stop winnowing its giant holdings of Treasury and mortgage securities, which it amassed during the financial crisis. Markets will also look for any signs of creeping hawkishness from Mr. Powell, who has taken pains in recent months to stress that the Fed will be “patient” before raising interest rates again. How Low Will Growth Forecasts Go? The Fed last released its quarterly economic projections after its December meeting. Then, officials predicted 2.3 percent growth for the United States this year. That’s nearly a percentage point lower than what the Trump administration forecasts. But many analysts expect the Fed’s new projections to be even gloomier. Morgan Stanley researchers wrote this week that they expect the Fed’s “forecast materials should show a measurable markdown to growth,” given the signs of weakness that have appeared in economic data for the first quarter. Goldman Sachs has revised its estimate of first-quarter growth to 0.4 percent. Others have slightly higher numbers, but most forecasters expect slower growth than the same quarter last year, in part because of damage caused by the prolonged shutdown of the federal government. Weaker economic growth in China, along with Mr. Trump’s trade war, are also prompting concerns. What’s the Path for Policy? No one expects the Federal Open Market Committee to raise or cut rates this month. But there are lingering questions about how many rate increases officials expect for 2019. In December, Fed officials forecast two rate increases this year. But Mr. Powell’s “patient” stance is the most concrete sign that rates are unlikely to increase much, if at all, this year. Many analysts expect Fed officials to signal this month — in a tool called the dot plot that is increasingly confounding markets — that they expect one increase, at most, this year. Analysts at Bank of America Merrill Lynch wrote this week that they expect the dots to show a likely single increase this year and another in 2020, with a possibility for even fewer increases. Fed watchers also expect Mr. Powell to signal when the central bank will end its recent practice of reducing the bond holdings it piled up in the aftermath of the 2008 recession, as part of its efforts to stimulate the economy when interest rates were near zero. Last year, the Fed’s portfolio declined by more than $350 billion — the sharpest reduction since the crisis. That unwinding has unsettled financial markets. But Mr. Powell put them at ease in January with public comments that suggested an end to the great unwinding later this year. Many analysts expect him to announce Wednesday that the Fed will stop shedding its immense holdings in September. Will the News Conference Produce News? Mr. Powell has focused on communication as chairman, fielding questions in public events between meetings and upping the pace of news conferences, from once a quarter to after every meeting. The public events are intended to provide more transparency about the Fed’s thinking — and to limit market surprises — but Mr. Powell managed to shake investors in his December news conference with comments that many viewed as supporting more rate increases. The committee statement from the meeting will be released publicly at 2 p.m. The news conference will follow.